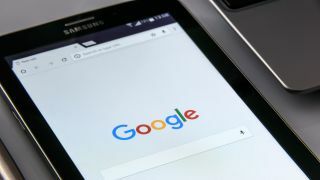 Google has announced in a blog post that it will start asking "users of existing and new Android devices in Europe which browser and search apps they would like to use." The announcement comes after Google was slapped with an enormous $5 billion fine by the European commission for abusing the Android operating system’s dominance in the smartphone market in 2018. 10 best Android phones 2019: which one should you buy? While reminding users that they have a choice between many different browser may not seem like a bold move, it highlights what Google says is a "continued commitment to operating in an open and principled way", and probably an effort to avoid more costly penalties from the European Commission. Google also says it has "changed the licensing model for the Google apps we build for use on Android phones, creating new, separate licenses for Google Play, the Google Chrome browser, and for Google Search," which means phone manufacturers have the freedom to "install any alternative app alongside a Google app." This is a direct response to the European Commissions complaint that Google was illegally forcing Android phone manufacturers to preinstall Chrome and Search as a prerequisite for including the Play Store app. Some people have suggested that this ruling could benefit the Android version of Microsoft's Edge web browser, which is ironic as in the past Microsoft has been hit with a similar fine for forcing its web browsers on its Windows operating system. However, whether we will see a spike in non-Google browsers being downloaded to Android phones as a result of this change remains to be seen.